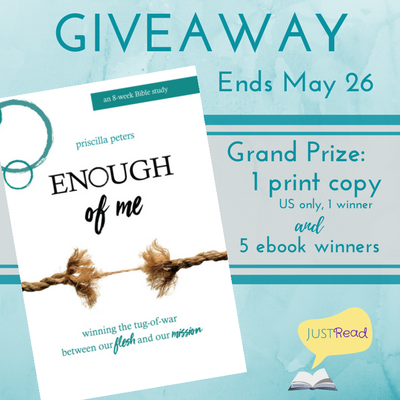 hosted by Just Read Publicity Tours! I'm living the dream in my fancy-pants world, and I've got the Instagram feed to prove it.Who am I kidding? I'm literally holding it together with one more cup of coffee, yesterday's dry shampoo, and a prayer. So I finally said enough. Enough of me. I'm bidding farewell to chasing emptiness and exchanging it for more of Jesus.If we agree with Paul in Acts 20:24 that our lives are worth nothing unless we use them for finishing the work of telling others the Good News - where are we in our quest to get busy for Jesus? In our world of hashtags, hair color, and having it all together, chances are we aren't accomplishing much. 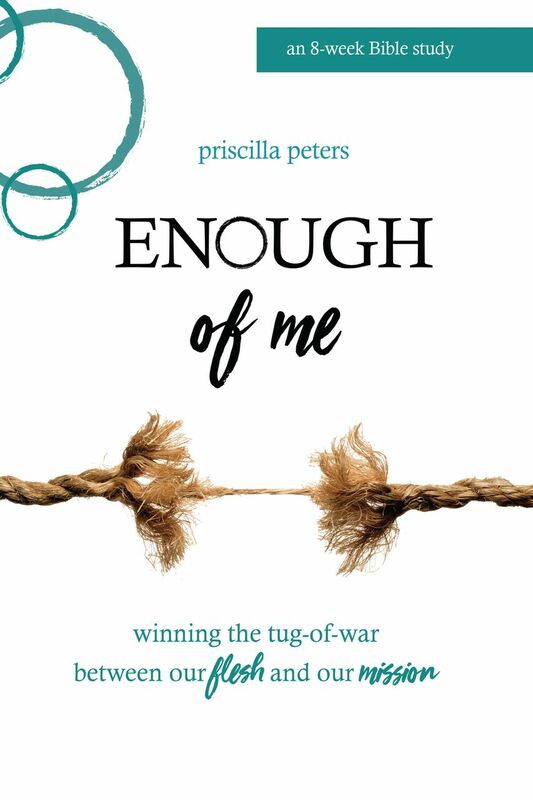 Enough of Me is an 8-week Bible study for women focused on what God's Word has to say about the tug-of-war between our flesh and our mission. The study explores the barriers that stand between where we are today and where God wants to use us to finish His work. Do you have a nagging in your heart for more purpose? 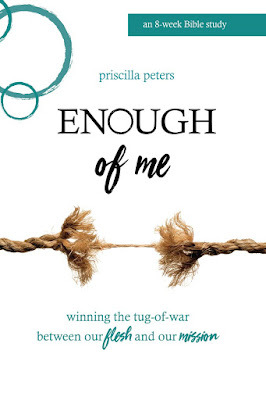 Are you right smack dab in the middle of a tug-of-war between your flesh and your mission? Often we want to live out the purpose and mission God has for us, but we're too distracted, exhausted, and empty. Maybe it's time to say enough to the excuses, anxiety, and interruptions that get in our way. Could it be we're so busy chasing emptiness and playing the people-pleasing game, that we can't find time to live on mission? It's time to take a deep breath and do some inventory. Let's dig in and see what God's Word has to say about this tug-of-war between our flesh and our mission. Let's figure out ways to quit chasing emptiness and take bold steps of obedience. 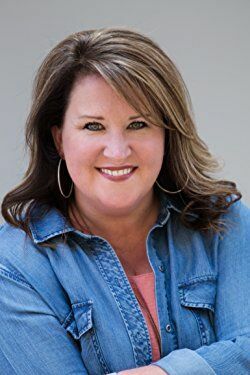 Let's discover how we can glorify God and steer people to Jesus in our cubicles, at our dinner tables, in our mom-groups, and with people we encounter every day.